Are thinking about how to buy a Birkin bag for your significant other but are overwhelmed with the options? Here are five steps to follow to find the perfect bag for that special someone in your life. If you’re purchasing their first Birkin ever (lucky them!) your best best will be black. Black matches with everything in their wardrobe, and most women need a black handbag in their closet. Most women tend to gravitate towards either silver or gold jewelry. Take a look inside their jewelry box and see what metal she has a penchant for. Chances are, she’ll want to match the hardware of the bag to her jewelry. If she has more gold jewelry, choose a Birkin with gold hardware. If she has more silver or white gold, palladium hardware will be your safest bet. When thinking about how to buy a Birkin bag, one must consider the wearer’s frame. Birkin bags come in various sizes, 25, 30, 35, and 40, the number being their size in centimeters. If your significant other is petite, they will look better in a smaller bag. If she’s taller, she could carry a larger size. For most women, however, the 40cm Birkin might be too large. Fun fact, Birkin 35s are the most popular Birkin bags in the United States, whereas Birkin 25s are more popular in Asia and the Middle East. Take a look inside their wardrobe and see what colors they use more often. This is a good indication of 1) what colors they like and 2) what color Birkin you should get to match their style. Does she like bold colors? Does she opt for more neutrals? These are all things you should consider when choosing a Birkin bag for your significant other. Does your significant other swoon when they see a crocodile handbag, or does she prefer leather? Hermès makes several types of leathers but also exotic skins. If you want to purchase something really special, go for an exotic skin. Birkin bags can only be carried in the crook of the arm or in the hand. If your significant other likes to be out and about or have her hands free, perhaps a Birkin bag is not the best option for her. If she’s someone who would prefer the ease of a shoulder strap, consider getting a Kelly bag instead. 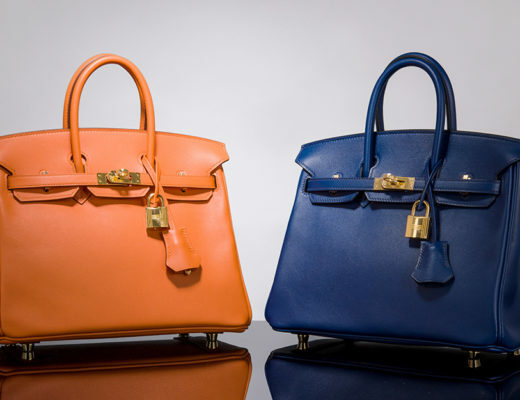 Kelly and Birkin bags are both crafted by one single expert Hermès artisan with the highest quality materials. They are both exquisite handbags and are sure to make anyone very happy. Whether you choose to buy a Birkin or a Kelly bag for your significant other, you can find authentic ultra luxury at Madison Avenue Couture.